The capital of the Cyclades is divided into two worlds. 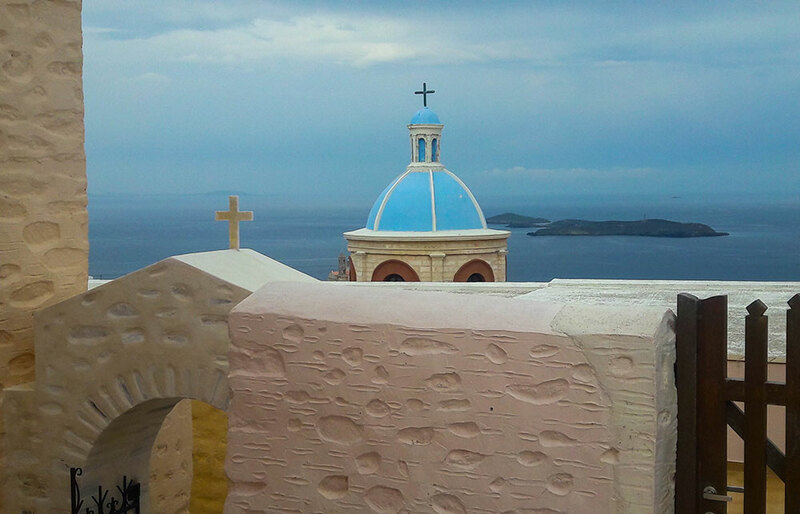 Syros stands proudly in the center of the Cyclades complex and harmoniously combines Orthodoxy and Catholicism creating a well balanced atmosphere between the two religious dogmas that coexist together. Different elements, cultures, social strata, religious doctrines, architectural styles and landscapes make a unique, cosmopolitan destination, or so called, the “Lady of the Cyclades”. 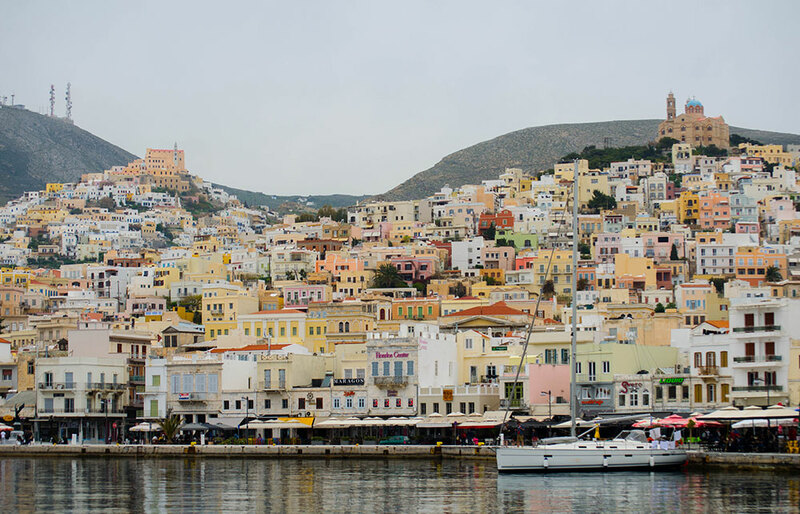 Syros is an ideal destination for long vacations, short breaks or island hopping, because it serves as a central ferry transportation hub in the Aegean. 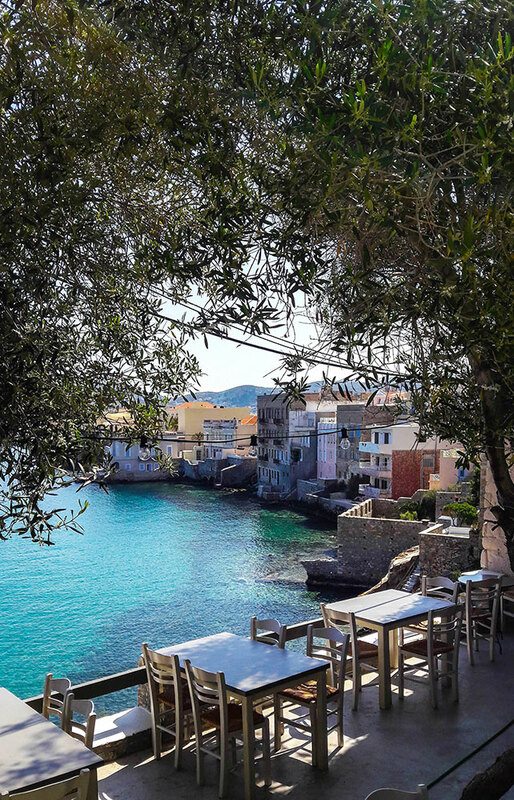 For a first time visitor, Syros can easily be explored by car, as all of the southern side is circularly connected, starting from Ermoupolis in the east (Syros’ capital) to Kini (the best spot for sunsets in the west), with good driving roads which are labeled. The island is ideal for families, couples looking for a romantic getaway, culture lovers and taste seekers. The beaches are mostly organized with many touristic facilities and accommodations, sun beds and water sports. Unique hiking routes and trekking paths are also available for those who love wandering in the nature. Apollon Theater (Ermoupolis) :built by the Italian architect Sabo who tried to incorporate features of four main Italian theatres, also a miniature of Scala di Milano. Archaeological Sites of Kastri & Halandrini (Kastri, Halandrini) :on the northeast side of the island are located two of the most important archaeological sites within the Cyclades dating back to the 3rd millennium BC. Excavations have brought to light a graveyard with about 600 tombs as well as ruins of inestimable value. The two archaeological sites Halandriani & Kastri are linked with a long and rough path (approximately 45’ walk) that leads into the depths of history. Assumption of the Virgin Mary Church (Ermoupolis) :the second oldest church on the island, built in 1828-1829. The church has a unique Orthodox image of Virgin Mary created by Dominikos Theotokopoulos (famous “El Greco”) in 1562, making a visit to this Church a must-see on the island. Capuchin Monastery (Ano Syros) :catholic monastery founded in 1637. Church of Saint George (Ano Syros) :on the top of the hill of Ano Syros. The church was originally built in 1208 but has been destroyed three times since and has been rebuilt (catholic). Ferekidis Caves (Alithini and Plati Vouno) :the two caves the ancient philosopher Ferekidis used to live in the 6th century B.C. The first cave is located in Alithini settlement (1 km from Ano Syros) and the other further north to Plati Vouno (5 km). Both caves can be visited. Industrial Museum of Ermoupolis (Ermoupolis) :unique museum which includes rare material from the industrial, naval and commercial life of the island. Kini Aquarium (Kini) :a popular attraction for both children and adults as it enables visitors to experience the captivating world of the Aegean Sea and admire the exhibits of traditional boats, fishing gear and marine organisms. Miaouli Square (Ermoupolis) :marvelous square of the 19th century, with the statue of the hero Andreas Miaoulis (1899), a marble music platform (1907), tall palm trees and a lot of cafes. Natural Trekking Paths :labeled paths where natural beauty is amazing and untouched by the human hand. 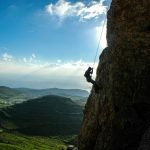 Some of the best known are the route from Ano Meria to Lia beach (through Eklogites) and the path leading to Grammata and the Old Cave Beach. Syros Lighthouse (Gaidaros, opposite the entrance to the port of Ermoupolis) :the oldest rotation beacon of the Aegean Sea. It was built in 1834 and is 29.5 meters high. Due to its sophisticated rotary mechanism with 12 parabolic mirrors it is said that it could be visible by Smiri, Asia Minor. Town Hall (Ermoupolis) :at the north end of the Miaouli square. It is an impressive building, which resembles a palace. Vamvakaris Museum (Ano Syros) :a museum dedicated to traditional Rebetiko singer Markos Vamvakaris. 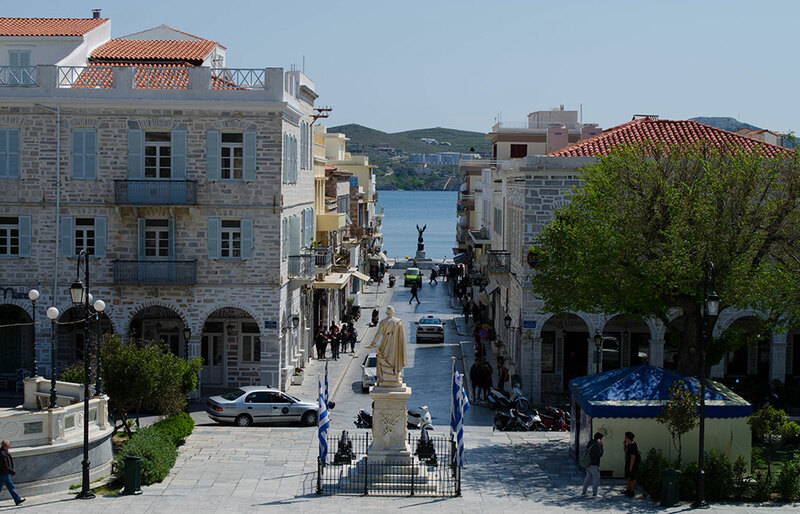 Vaporia area (Ermoupolis) :the most charming section of Ermoupolis where you can admire impressive neoclassical mansions of the wealthy ship owners. The Catholic hill of Ano Syros is one of the highlights to visit in Syros. The beautiful medieval settlement was build around 1200AD and has become the catholic district of Ermoupolis. It is located on the left side of the city, facing the Orthodox settlement, which is located in the right side of Ermoupolis. 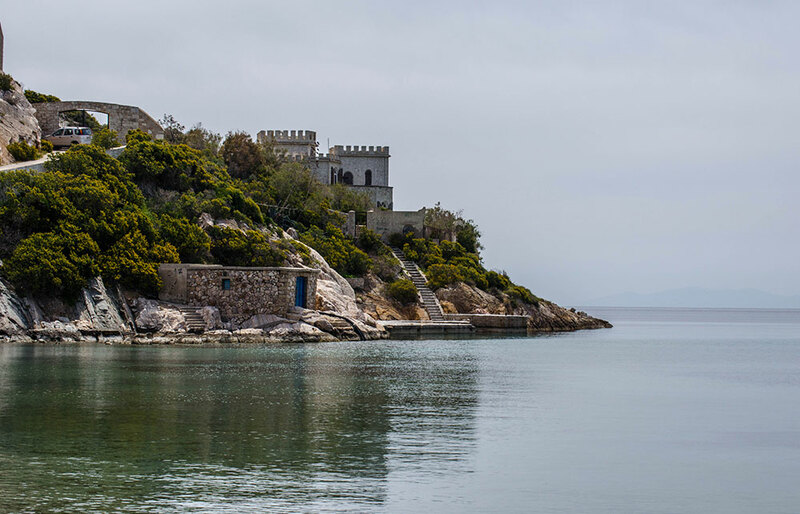 The wonderful town of Ano Syros was created by the Venetians amphitheatrically, with houses built on the rocks, one on top of the other, forming a natural fortress to protect its residence from attacks. The narrow cobblestone streets gave residents the opportunity to hide from the various pirate attacks, while the wooden doors in the entrances of Portara, Epano & Kato Terma, Skalakia and Sabastias completely sealed the city from any invasion. Its distinctive combination of Cycladic architecture and medieval influence offers unique scenery that charms any visitor who wanders in the graphic streets and whitewashed steps of Ano Syros. At the highest point of the city stands the Catholic Cathedral of Saint George, and nearby is the Centre of Historical Studies. The catholic identity of the city continues to unfold through the Jesuits and Capuchins monasteries, the Church of Virgin Mary of Karmilou and other Catholic churches and other Catholic churches. The city offers a plethora of touristic facilities, cultural landmarks and attractions. It is the birthplace of one of the most known Rebetiko (Greece’s most traditional and distinctive music style, also known as Greek Blues) composer, musician and singer Markos Vamvakaris, and during the summer you will hear live rebetiko from the open air bars and café’s on Ano Syros. You will also enjoy panoramic view of the port of Ermoupolis, since is just 3.5 km away, a distance worth covering on foot. The capital of Syros, as well as of the entire Cycladic complex, exudes a neoclassical aura and luxurious ambience. Rich, impressive mansions and neoclassical buildings prevail in Ermoupolis combining elements from ancient Greece and Western Europe. Visitors walk through the streets and neighborhoods and travel through time in a bygone era of imperious history. The city was founded during the Greek revolution in the 1820s and soon became the leading commercial and industrial center of Greece, as well as its main port. It is no coincidence that it was named after Mercury (“Ermis” in Greek), the ancient Greek God of merchant, commerce and business. 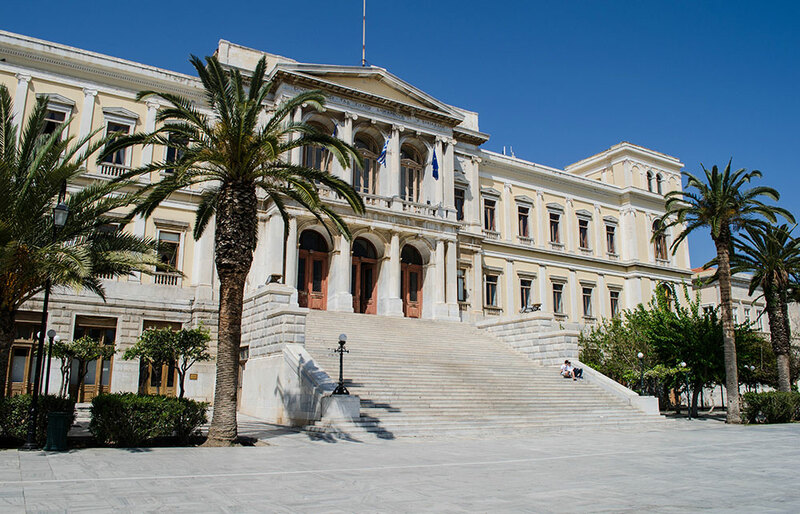 The first hospital, the first high school and the first shipyard of the newest Greece were founded in Ermoupolis. The town met great prosperity and wealth which is depicted in its sights that have survived to this day. Ermoupolis is today an open museum, a monumental architectural total that nothing similar is found in the rest of Greece! Achladi: a small picturesque beach offering several traditional taverns by the sea. Perfect location for lunch. 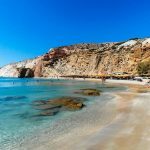 Agathopes: one of the most popular beaches of Syros. This is an organized beach with golden sand and shallow blue waters, beach bar and water sport facilities (e.g. Water Cycling). Around the beach there are many tavern offering local delicacies. 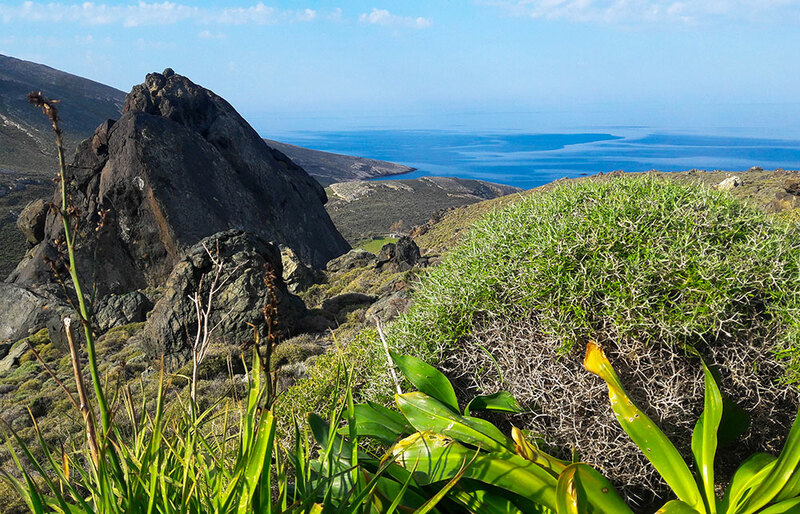 The charming view to the little islands of Schinonisi and Stroggylo, as well as the lighthouse in Cape Viglostasi, make the scenery even more breathtaking. During the spring time you will meet adorable seals Monachus-Monachus and rare kind of lilies. Ambela: a cozy secluded beach with brown sand, few trees, rocky foundations and crystal clear waters. It is surrounded by picturesque white painted villas. Protected by the wind, Ambela beach offers a small oasis of peace and relaxation. Its shallow waters are ideal for families. Armeos or Agia Pakou: white rocks, rocky cliffs and turquoise waters. This beach is accessible either by boat or foot and usually very isolated even in August. One of the top choices for nudists. Azolimnos: a thin golden beach with clear waters, fully organized beach offering many accommodation choices, taverns and cafes. Delfini: very long sandy beach with calm blue waters protected by the strong northern winds that. The beach is partially organized and its tranquility creates the illusion of and exotic island. Fabrika: small tranquil beach with very few umbrellas. It has a small picturesque port with few fish taverns and old lighthouse. 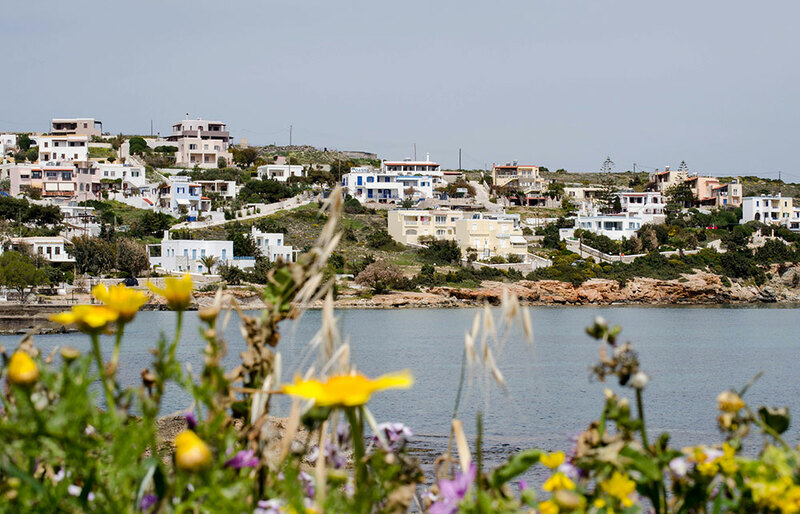 Foinikas: a sandy beach at the end of a beautiful bay, which hosts private boats, sailing races and water sports. 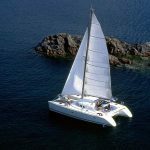 Visitors can find anything they need, clear waters, sun beds, umbrellas, organized port with yachts, water sport facilities, cafes, tavernas with local dishes and many accommodation options. Fokiotrypes: isolated little creeks in the eastern part of the island covers, only accessible by boat or foot. Due to its clear calm water seals Monahus- Monahus come here to deliver their eggs. Galissas: one of Syros most popular and largest beaches. In this sandy lush green bay you will find a vibrant young crowd all summer long, along with lots of taverns, cafes and water sport facilities (e.g. Water Cycling). Kini: a beautiful sandy beach with transparent shallow waters and a picturesque small port. In Kini visitors are able to enjoy the most spectacular view of the sunset, in some of the best local restaurants by the sea. From Kini’s little port, visitors can hire a boat to the secluded beaches of the island and the nearby islets. During the summer months, Kini’s aquarium is also one popular attraction for both children and adults as it enables visitors to experience the magical marine world of the Aegean Sea. Komito: beautiful sandy beach, very tranquil and peaceful. Komito beach has crystal green waters and welcoming coastline. It is never too crowded so it is ideal for relaxation. It offers umbrellas and sun beds and natural shade from trees. Lotos: beautiful, quiet, non organized sandy beach covered in trees that provide natural shade. Ideal for relaxation and isolation. Mega Gialos: very long but rarely narrow organized beach by the road, with small shady creeks. Along the beach there are a variety of taverns, cafes and accommodations. Poseidonia or Dellagracia: small, organized beach with sand and pebbles and many accommodations nearby. It often attracts boat owners due to little port right next to it. Psachno: beautiful beach located at the end of the Foinikas bay. It offers crystal clear waters, while the morphology of the bay makes it suitable for all kinds of water sports. It is preferred by windsurfers. Vari: sandy beach ideal for families. Organized beach, with clear shallow waters, thick sand and easy access. Along the beach you will find taverns, cafes and multiple accommodations. 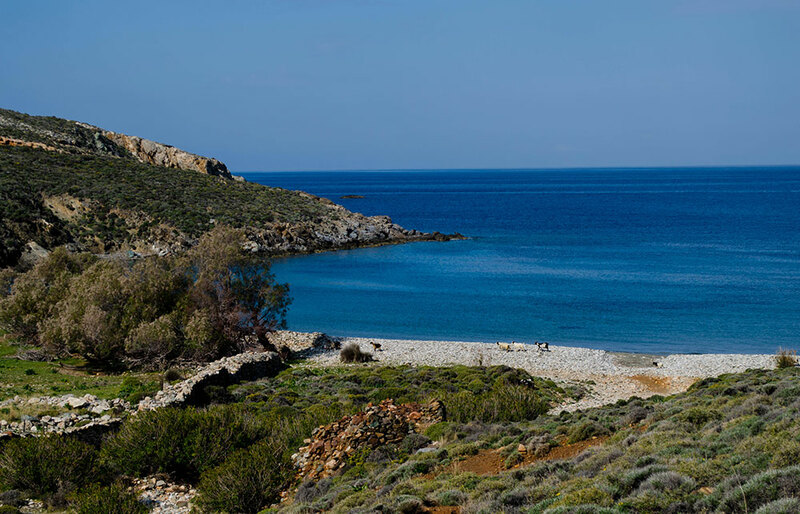 Varvarousa, Aetos, Lia, Marmari and Grammata: isolated beaches in the northwestern coast of Syros accessible only by boat or by walking paths. All of these beaches are isolated and have turquoise water and trees for natural shade. Due to its beautiful pine trees Grammata attacks free campers, while Varvarousa is preferred by sailing boats. 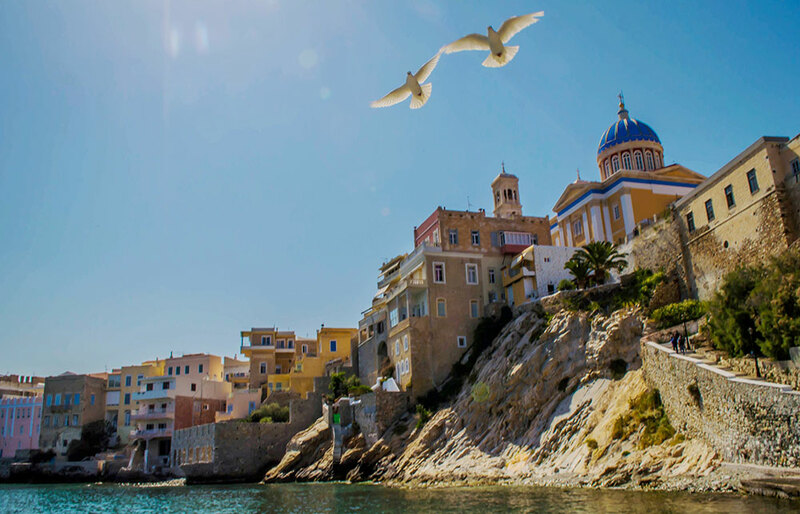 The name Syros has its roots in the words "sour" or "osoura" which mean "rocky" in ancient Phoenician. In Homer's Odyssey the island is mentioned as "Syrie", where Phoenix usually anchored their ships. It is described as a blessed land which hadn’t been through any wars or battleships. It had two cities, abundance of goods and very good conditions of living, in the degree where the aged did not die out of natural death, but Gods, Apollo and Artemis, came and took their lives. 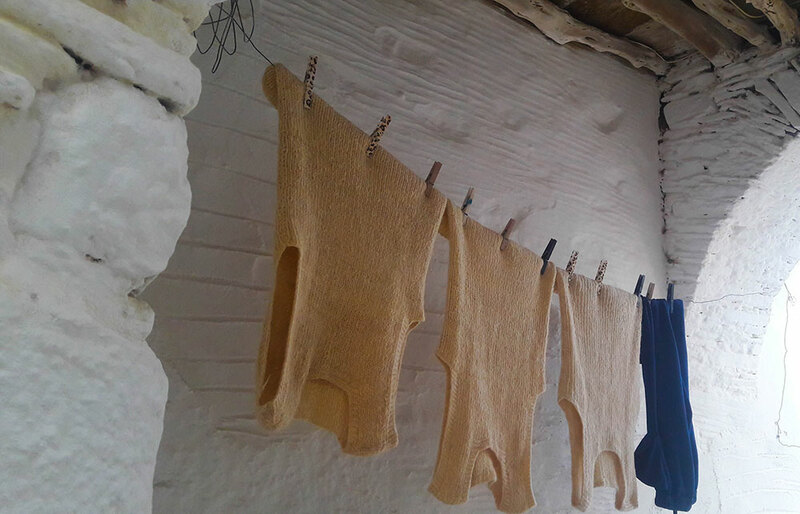 The oldest myth about Syros is that of Koiranos. Koiranos was shipwrecked between Paros and Naxos and was brought to Syros by a dolphin. There he took refuge in a cave, the "Koiranos Antron", as it was renamed later, when Koiranos, due to his abilities, was proclaimed king of Syros. • The first excavations have been dated to 2800 B.C. • In the Early Cycladic II period (2700-2200 B.C.) Keros-Syros culture flourished. It is considered the apogee of the Cycladic civilization. The trade relations of this culture spread far and wide from the Greek mainland to Crete and Asia Minor. One of the important sites of this culture is Halandriani at Syros. Significant remains of the Early Cycladic Civilization have been uncovered at Halandriani and Kastri during the 1862 excavations and are housed at the Archaeological Museum of Ermoupolis. • In 1207, it's occupied by the Venetians and Latin rule leads to the conversion of large segments of the population to Catholicism. • In 1566 Syros Fell to the Turks, yet remained under the protection of the Pope and French king throughout Turkish rule. • In 1822 marks the start of Ermoupolis' growth as its population is swelled by refugees from Asia Minor, Chios, Psara, and Crete. Ermoupolis emerges as the main commercial port in the eastern Mediterranean. • In 1861, the Neorion shipyard is the first modern shipyard established in Greece, one of the most technologically advanced shipyards for sailboats and ship engines. The original premises of the shipyard can still be found in the heart of the current establishment. 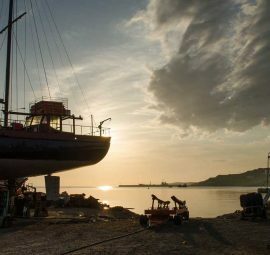 Right next to the shipyard, the traditional art of wood ship building is still practiced in the ship repair docks, Karnaghio and Tarsanas. • In the late 19th century, Syros's economy reaches a peak when its population tops 30,000. • The 2nd World War takes a heavy toll on Syros, which slips into a decline that continues after the war. 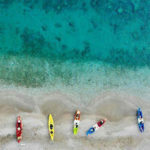 • In the 1980s, the island started to turn around its fortunes as it looked to tourism to help its economy rebound, while the economy also got a boost from the reopening of the shipyards. With influences from Asia Minor, Turkey, Venice, Chios and Northern Aegean, Syros cuisine is a fusion of spicy flavors, velvety notes and traditional aromas. An authentic cuisine with exquisite tastes that are a must! In fact, the Aegean Cuisine initiative was conceived in Syros. The South Aegean Center for Business and Technology Development (KETA) in cooperation with the Cyclades and Dodecanese chambers of commerce created a network of leading businesses which provide quality services to those visiting the southern Aegean and promote the wealthy Aegean enogastronomy. The Aegean islands produce an exceptional variety of products noted for their combination of flavor, quality, and uniqueness. 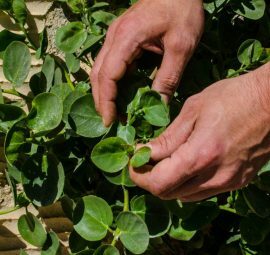 Aegean Cuisine’s certified members highlight local products and wines, promote thematic tourism and offer visitors a unique Aegean experience. Syros is famous for its traditional products and especially for Loukoumia, a sweet made with water, starch and sugar and it is available in various flavors (like almond, mastic and pistachio). What makes Syros’ Loukoumi unique is said to be the island’s water making it the number one product on the island. The second most popular local product is Nougat pie (Halvadopita) tasteful dessert prepared from local products such as honey and sugar, glucose, vanilla, egg whites and almonds. Another very famous local product is San Michali cheese. It is a hard, slightly yellow cheese made of cow milk that stands out for its unique spicy flavor and produced exclusively in Syros. Since 1996 it has been officially registered as the Product with Designation of Origin (PDO). The island enjoys lush fructification throughout the year. It has some excellent homemade wines, produced from small local vineyards. There is also a liqueur made locally and known as the Grandmother's drink. It is a concoction of brandy and cherry fermented under sunlight, then infused with spices and fruits to yield a delicious brew. Syros island also produces top quality Local Sausages (Loukanika), Sweet Gruyere (Graviera), Kopanisti (spicy soft cheese), Petrota (soft cheese), Capers, Fennel-Mash (Marathos), Sundried Tomatoes, Honey, Crushed Olives, Jams and Pasta. Many traditional recipes stand out in the local cuisine such as, marathopita (fennel pie), lachanadolma with raisins (cabbage leaves stuffed with rice and raisins), aetopita (fish pie with vegetables) , and sisyra (pork), gouna (sundried mackerel), pork with fennel paste, octopus with sundried tomatoes and fried smelt with onions, tsipouro (raki), pihtija (pixti). Syros organizes plenty of Christian and Catholic feasts all year long to celebrate its Saints. Easter in Syros is also an event not to be missed. The Carnival: is one of the biggest events on the island, which combines local customs, masquerading, traditional dances, special seasonal dishes and delicacies takes place every year in Ano Syros. The first parade takes place on the last Saturday of the Mardi Gras. 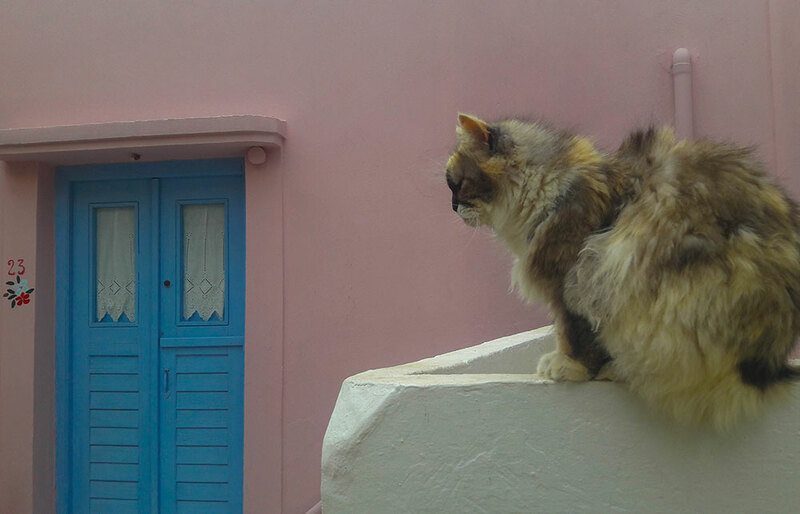 Syros International Film Festival (July) : showcases a wide spectrum of cinema in traditional and re-purposed island sites, in the middle of the summer. Guitar Festival (July) : is a five-day summer festival which includes solo and chamber music performances, master classes, competitions and a big guitar orchestra by the participants. International Aegean Festival (July) : attracts world-class musicians, dancers, and actors from dozens of countries, and has become a summer destination for lovers of the arts from Europe and beyond. 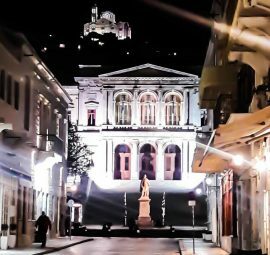 Avgoustiatika Feggaria (August) : is taking place in Ano Syros and it is a night dedicated to rebetiko music, the most popular music genre in Syros. Ermoupolia Festival (September) : includes many cultural events, such as music concerts, theatrical performances and art exhibitions. Syros Culture: a series of cultural events with music and theatrical performances throughout summer in Ermoupolis.